You know him as a star comedian on Comedy Central’s Daily Show with Trevor Noah. He has defied all odds and broken every barrier to become an international superstar. Little did he know that his day-dreaming in the maths class would help him fly high like a G6. Ladies and Gentleman, I present to you … [drumroll] … Loyiso Madinga who will be performing a one man stand-up show at the Auto & General Theatre on The Square in Sandton this March from Tuesday, 26 March to Saturday, 30 March 2019 at 20:15. ‘Problem Child’ is about more than a private school mis-education. It’s a comedy show which is likely to teach you a little something and hopefully leave you more educated than you were before. This show has been twenty years in the making and comes to you all the way from Madinga’s memories of math classrooms and other school nightmares. Be sure not to miss it! Loyiso is a very short man who is on a mission to prove that he is tall inside. He is now a big man on the comedy scene having reached dizzy heights. Like Kevin Hart, life short-changed him as gravity did a good job on him. The “shortman” is surely making a mark in his chosen vocation. He is the first international Correspondent for the Daily Show with Trevor Noah, and it all started from humble beginnings. This rural raised boy has quickly risen to being a certified international comic. Having started in 2012 when he spent a week at the Teatro (Monte Casino in Johannesburg) and shared the stage with international acts like Tom Segura, Loyiso’s career was on the fast track. 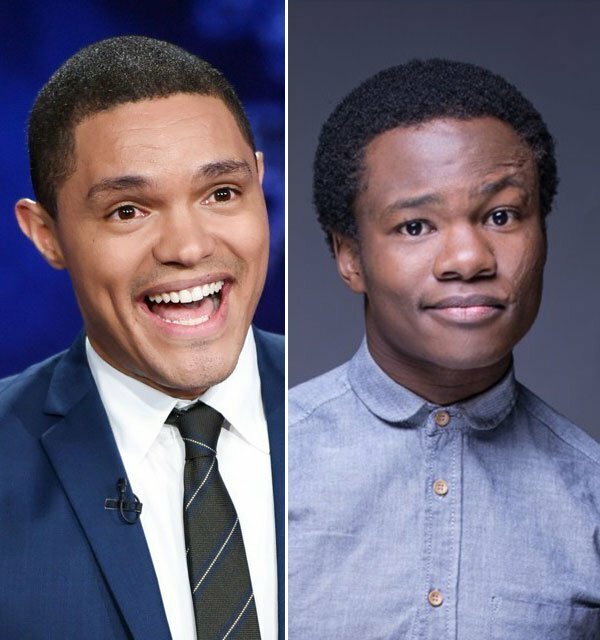 Since then, he travelled the country on Trevor Noah’s Nationwild tour and represented SA at the Montreux Comedy Festival (Switzerland) and Busan Comedy Festival (Korea) and performed at a Live LOL Recording (produced by Kevin Hart) at the Montreal Comedy Festival. His debut one man show, Born Free-ish, was a four night, sold out success. And he’s as comfortable on screen as he is on stage. Loyiso has written and performed on the two-time Emmy finalist satire show, Late Nite News with Loyiso Gola and also written and performed on the hit sketch show, Bantu Hour and is now the Africa correspondent on the Daily Show with Trevor Noah. All of this in just five years and he’s just starting. From a small village in the Eastern Cape to world stages. Tuesday, 26 March to Saturday, 30 March 2019 at 20:15. The Auto & General Theatre on The Square, Nelson Mandela Square, Corner Sandton Drive and Rivonia Road, Sandton, Johannesburg. Tickets are priced at R150 per person. Auto & General Theatre on The Square, Nelson Mandela Square, CNR Sandton Drive & Rivonia Rd, Sandton, Johannesburg. Previous articleWhat Is The Africa Netpreneur Prize?